Natural Science Meets Business (NSMB) took place at the University of Oulu on the 21st of November. This student recruitment event was organized by Loimu Ry, LuOpiO with student organizations like Atlas ry, Histoni ry, Sigma-kilta ry and Oulun Yliopiston Kemistit ry. There were number of businesses along with a few student organizations represented. 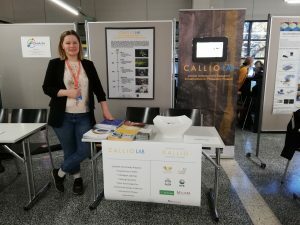 Callio Lab and Callio stand presented possible working opportunities for students of University of Oulu.